Thanet council is due to be served notice that central government may start the process of ‘taking over’ the isle’s housing and business plan. A statement issued today by Secretary of State Sajid Javid, from the Department for Communities and Local Government, says the failure of Thanet and 14 other authorities to meet deadlines to put a local plan in place means the government has now served notice of its intention to intervene. In the statement Sajid Javid says: “I am particularly concerned about the 15 local planning authorities that have recently either failed the duty to cooperate or failed to meet the deadlines set out in their Local Development Schemes, the public timetable that all local planning authorities are required to put in place. “I am therefore writing today to the local planning authorities of: Basildon, Brentwood, Bolsover, Calderdale, Castle Point, Eastleigh, Liverpool, Mansfield,North East Derbyshire, Northumberland, Runnymede, St Albans, Thanet, Wirral and York. Thanet’s draft local plan was discussed by Thanet council Cabinet last month (October) but is not due to be debated by Full Council until January. The current Thanet timetable plans for submission to Planning Inspectorate in March 2018 and examination in June 2018. The isle’s last active local plan was adopted in 2006. Government intervention could mean the housing numbers required for Thanet will rise. Government guidelines currently dictate a build of 17,140 new isle homes by 2031. But following a government proposal to standardise the way local authorities work out housing need new proposals could see that figure rise to more than 20,200 homes, raising the requirement from 857 dwellings per year to 1063 dwellings per year. Thanet council has until January 31, 2018, to justify to Government the failure to produce a Local Plan. The Secretary of State said: “ I will take responses received into account before any final decisions on intervention are taken. The Government is due to announce details of £25m of funding to help local authorities plan for new homes and infrastructure in their area. 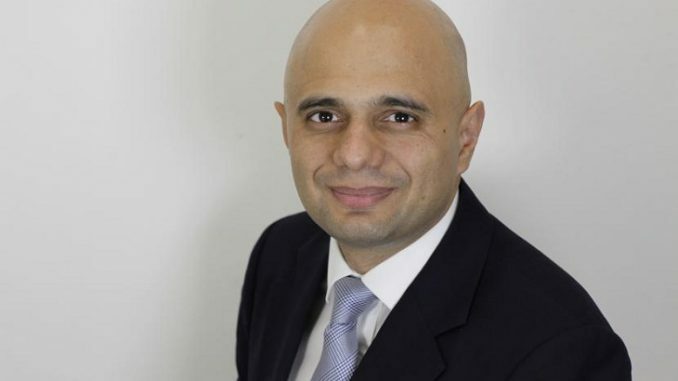 Sajid Javid added: “We have, and we will continue to, support local planning authorities in plan-making, through the Planning Advisory Service, with support from officials of my Department and the Planning Inspectorate. 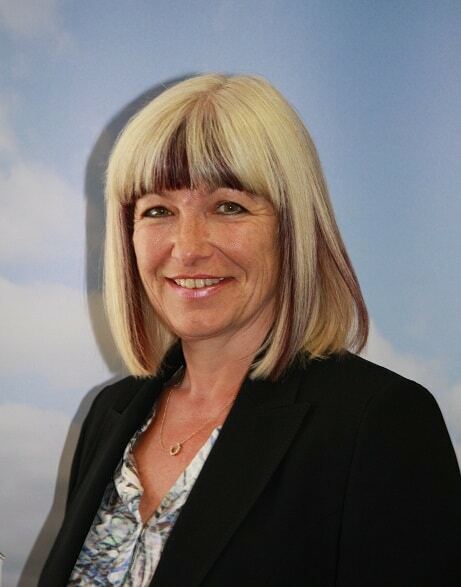 County Councillor Karen Constantine said the issue of Manston airport is a major cause of delay for Thanet’s Local Plan. She said: “Chris Wells came to power saying he would open an airport, even though considerable evidence showed such a plan wasn’t possible. “Having got into power he then changed his mind. However he can’t get his own members at TDC to see sense. The Tories too, believe a polluting air cargo hub is right for Thanet. “Manston now seriously threatens to derail our long overdue local plan. Leaving the way clear for the Government to step in and decide what housing will be built, how many and where. Thanet Conservative leader Bob Bayford said: “The Conservative group on TDC, supported by South Thanet MP, Craig Mackinlay, do not feel that the Secretary of State, Sajid Javid, has appreciated the unique situation in Thanet whilst the Manston issue remains unresolved. “For this reason, the Conservative group will be pushing for an aviation designation for Manston to be included in the Local Plan when it comes to full council in January, even at the risk of delaying agreement of the Local Plan still further. The long term plan for Thanet with an airport is entirely different to a long term plan without it. Mr Mackinlay is due to meet the Secretary of State today to talk about Thanet’s position. Oh dear….The Local Plan should have been updated LONG before the last election.. It might not lead to an increase at all, perhaps even a decrease, in the requested amount of housing. The pro airport protests groups have caused distress confusion and mayhem to TDC and KCC and the system since it closed. TDC has been distracted by these groups as well as political confusion. RSP are trying to continue to distress the legal development of the site by its owners. 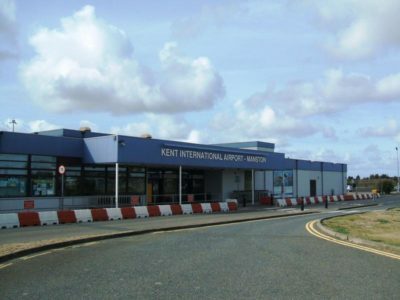 As a non distressed or confused east Kent resident I like the majority of residents want an airport back that will bring employment and prosperity to the area , not people from out of Kent to join our every growing unemployed and the local council providing support from our community charges , our overtaxed Hospital,Doctors,Water supply .East Kent Resident wake up and smell the coffee!!!!!!!!!!! When will you ever realise, the houses are coming anyway, failed airport or not. We need the Council to be in full agreement for this plan but they are still playing silly-bugers in trying to bring it down. They need to buck-up or we will end up being told what to have and where to put it by higher authorities. There is no escaping the fact that Thanet will have to build thousands of houses to meet the criteria laid down by the Government. What TDC needs to do is get the Local Plan in to them for decision ASAP so it can say where we want them at the present levels agreed, and we need to tell the TDC cabinet members to stop complaining and get on with it. Their silly squabbles have lasted too long and too much notice has been taken onboard from outside lunatics. SHP are the outside……., you know what! Hmmm, where do Riveroak hail from again? Where does TF come from? The Belizean “investors” who own 90% of Riveroak, do they have a semi in Cliftonville? The leadership of the various pro airport groups, do ALL of them live in Thanet? Personally, I think that the UKIP run TDC should consider a ‘U’-turn on Manston, and leave it as a complete Airport..ie., NO housing on the site at all, just the Airport buildings. Doing this would free up time to decide where housing should go. 9000 of the 17000 houses have been, or are being built. Then with the empty properties sold off, (around 500) even less needs to be considered. Why is Manston even an issue? As things stand Manston is for aviation. The council should have had a plan in place that completely ignores Manston and tackles the housing problem in other ways. Because it’s a brownfield site that has failed as an airport, and needs to be put to the best use possible for Thanet. Using it to build the required housing will reduce the need to take greenfield sites by 100’s of acres, far preferable to a 4th attempt at an airport that will fail in 2 years, by which time a lot of the greenfield sites will have gone forever. The airport is closed. It is not economically viable. We need homes. The majority of people who live under the flight path to Manston do not want an airport as the sentimental simpletons claim. Their selfishness has prolonged the agony and it is incredible that the supporters of the 24/7 air freight so cheerfully want to endanger the health of thousands of peoples lives, especially children, as part of some fantasy project that could enable an offshore company to reap rewards. The two MP’s, Gale and MacKinlay, who support the opening of the airport and the other ghastly things that they are doing to the NHS and their blatant madness in handling Brexit, should wake up and start using their brains. Manston should not be an issue at all. It’s closed, and the brownfield land should be used to accomadate a large number of the 17,000 houses that the Gvt want built in Thanet. To bluster about a working airport when it has failed 3 times, and there is no credible prospect of it ever being a profitable airport, while greenfields are built on, only for Manston to fail again in a year’s time is ridiculous folly, and panders to a small number of people who will have to travel to enjoy their plane spotting hobby. Get the plan done, and think of ALL the people in Thanet, not just the small group of plane spotters. I agree. Stick all twenty thousand houses at Manston and be done with it. OK the hospital will collapse, no-one will have a doctor, roads will be grid locked and the schools will be 45 to a class. But hey the government doesn’t care about that. We will probably run out of water too. I would love for there to be an airport but sadly it is never going to be a success. Yet another.What about flying schools and pilot training.Not just plane-spotting. Oh yes the 1000’s undergoing training that can’t get it anywhere else..
Leave your blinkered foolishness behind Andrew, wake up and smell the coffee, Manston is not viable, and is gone for good. Manston isn’t an airport any more. It’s a large brownfield site, no longer in use. It could and should take thousands of the flats and houses which the government wants to impose on Thanet. If they’re not built there, they’ll be built on Thanet’s fields. People who don’t want such a large number of new houses in Thanet need to band together and lobby the local MPs about it. Perhaps someone could start off a petition. I’m sure there would be thousands of signatures. Thanet does not have a housing shortage as you only have to look at all the estate agents around here. 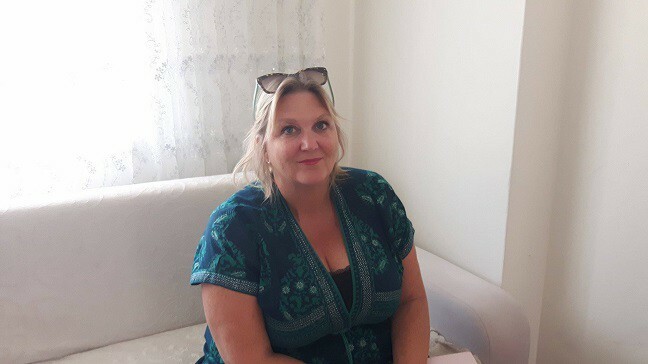 What Thanet does have is a shortage of jobs so that local people can afford to buy homes instead of them being sold to people moving from more expensive parts of the country. Unfortunately, the proposed local plan does nothing to address the employment shortage or to fill the existing vacant business sites. Support Manston airport. Forget the housing project that will only drain the already stretched amenities. Jobs are needed and an airport in the south east is needed. Manston support 160 ish jobs when it closed, hardly significant. I am really surprised to read so that so many people do not understand the importance of retaining Manston as an airfield. With Heathrow and Gatwick both nearing full capacity, hence both of them wanting aqdditional runways together with the additional destruction of local housing and attendant air traffic congestion problems, I am equally surprised that our so called Government even considered such a plan. Manston, with a dedicated rail connection for both freight and passengers, would solve so many problems, including that of local unemployment. The allocation for the 17k house is simply based upon projected population figures. This is predominantly made up of people moving to Thanet from outside the area e.g.people moving down to retire from London and other northern ditricts and also due to the aging population. Although the pop projections are generally correct mathematically, giving we have a much higher than average housing density in the district (24% compared to 8% uk average) and the unique set of problems associated with coastal towns, the government needs to realise that this methodology will not work on the Isle of Thanet. We cannot keep building houses for everyone who wants to move here. Our natural population (births -deaths) is around zero at present and therefore the majority of the extra housing is for people who want to move here. I would suggest that Sadiq deals with the issue of affordability and suitable housing for the elderly in districts closer to London, which would then take the strain off of the housing demand down here. We cannot continue to build on our agricultural land and become more and more built up. 17k houses is a a ridiculous number…as if we are going to build almost 1 thousand houses a year for the next 17 years. Thanet will become a massive building site. The figure is too great and this panic over the housing crisis is making some think illogically and irrationally. We need more houses but at a steady rate that Thanet can cope with. The methodology used does not work here and that is reason why the Local Plan has been delayed and will continue to be delayed because it is simply not workable. I have put in panning applications in three time with Thanet Council but refused every time , no nabours comment’s no parish council comments no highway comments but still no planning permission, going to appeal all want is a bungalow on my own land.